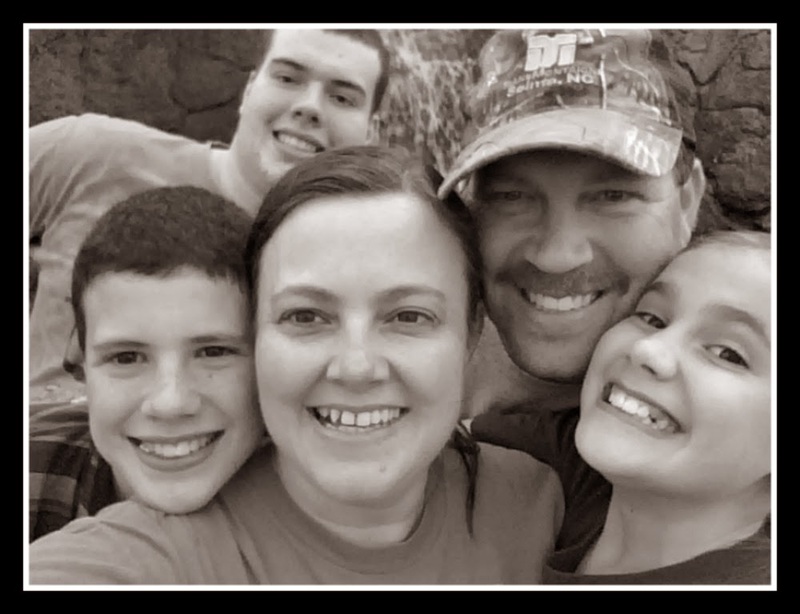 Grace Christian Homeschool: Wrap Up - Week 20 - The One Where We Survived! Times like this is when I love having those who have been before me to lean on. I hope I can be that way for others when we make it through too! In other news, Stephen and Sarah had a good week. During our study of the Medieval period, we made some stain glass out of paper and put together our castle. We also had some fun practicing for National Number Knockout. 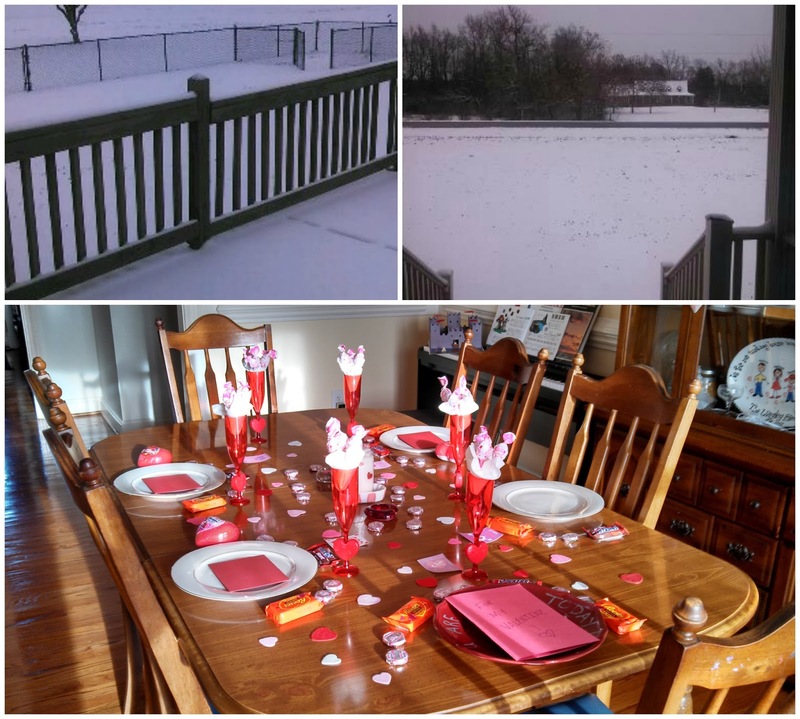 We also had fun celebrating Valentine's Day and believe it or not - more snow!! 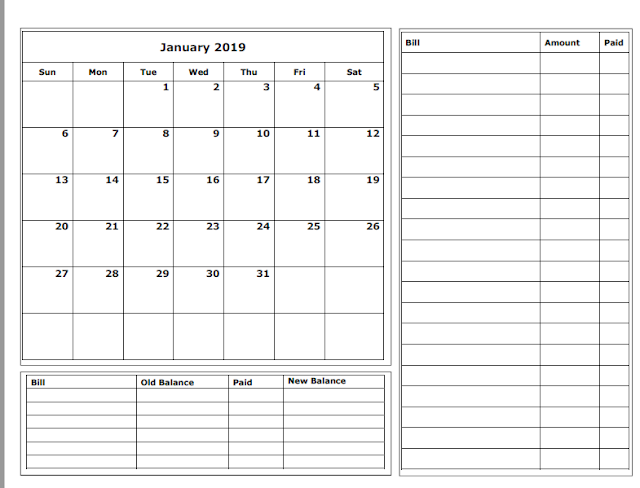 I can understand the planner part and when things don't go as planned. Praying that your son will step up and do what needs to be done. Thank you so much!! Prayers can move mountains and I appreciate every single one! Planner here too. And I get so mean and cranky when my plans don't happen. Also, we'll be studying medieval times too. Where did you find the castle project? Maybe you linked it in already and I missed it? Totally possible...I'm flakey like that. 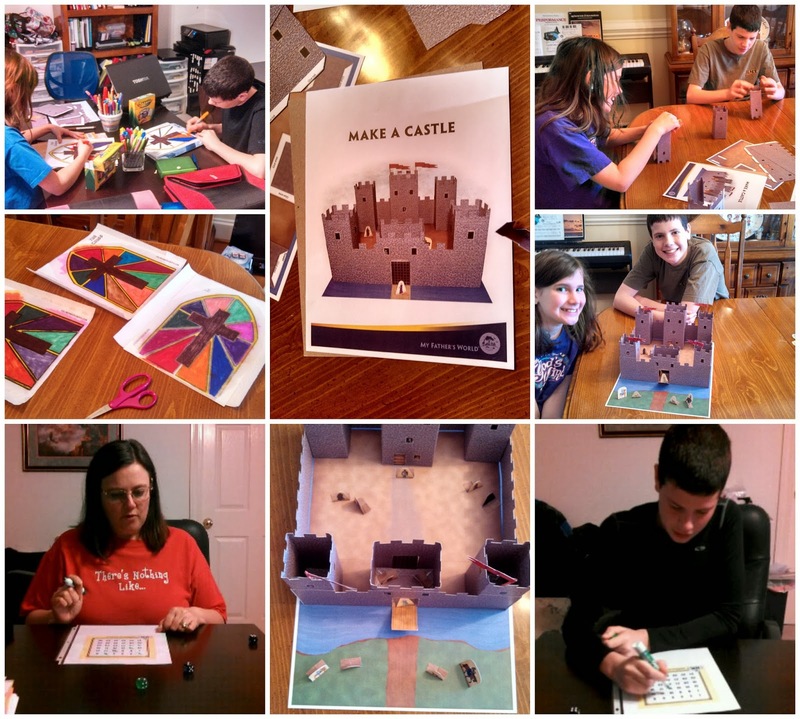 I don't think I did share but the castle project came with our My Father's World Curriculum. You can purchase it separately though. They made it a really simple project! Hi Melissa, thanks for sharing your heart! Will you still be doing MFW with your son, or only doing CLASS? It looks like a great program, this is the first I've heard of it! I sent you a fb message Jackie! I will definitely keep you updated!! Good luck with helping your son! I empathize with you in your journey with your high schooler. I have one who had to start a few math books over, not because he didn't understand it, but because he would go long periods without doing any math. We had a very difficult few years. He has been enrolled in Alpha Omega Academy for several years for the same reason you put yours in CLASS. We also did Classical Conversations one it. That was a good year. Not because of Classical Conversations in and of itself, but because my son likes to shine. So he set out to outshine everyone in the class! The atmosphere was awesome for him. He actually did his work without me on his tail all the time that year. We have reached the point with him we have decided no more classes for him but dual credit via CLEP tests. He is just bored with school most of the time. I pray your journey with your son improves and you find a good fit for your family! It is so hard to see our children not live up to their potential and take the easy way out. Hopefully, CLASS is just what he needs. The accountability will be good for him. This sounds like a trial for you as well as him. Stay positive and maybe it will rub off on him. You have already laid his foundation. Have faith. Remember, God has his plan. I love your Valentine's Day table - I used the very same foam hearts on my table - nothing makes me happier than setting things up pretty for cheap cheap cheap!!! Good luck with your son - that's a hard journey and a hard lesson for him - but it can only make him (and you) stronger! That castle is awesome! My boys might enjoy making (and really, playing with) that. We might have to make one too. Your Valentine's Day table is gorgeous! Good luck with your son. I hope having more accountability helps him! It is so hard to watch our children fail! We want so much to help them succeed, but sometimes it is the learning that happens when they fail that helps them succeed later on. I wish your son the best in his new journey! We are preparing to enter the world of high school with my oldest and I'm dreading it. We both need that accountability. I've been praying about what to do. I'll have to look at CLASS. Praying it's a good fit for your son. I'm jealous of all that snow - we are cooking here in South Africa…a little ski trip would be bliss. Stay warm. I'm a high school teacher - and you are not alone in hoping that your son will take over and "want it." Younger high school students are so hard to motivate - graduation or "what comes next" for them just seems so far away. I always like to say "imagine this is all over tomorrow-what do you dream of doing next?" and then use their answer to help create a plan to get there. Good luck! I enjoyed looking around your blog! I'm visiting today from the BB100. I really enjoyed reading your post and sounds like you do some wonderful things. We are short on snow here in Utah. Visiting from BB100. I wish you the best with your blog. It is so hard when they aren't motivated. I Do hope things start to look up for you both soon. I can not realize how much snow everyone is getting this year. I hope things have calmed down by now and hopefully spring will be here soon. Letting our kids suffer the consequences of their actions (or lack of action in many cases) was one of the hardest things to do for my older kids...but one of the most impact for them. Hang in there! I pray that your son learns whatever lesson he's meant to from this experience. your son is lucky to have a mom who cares so much, it isnt always easy for you to do the hard thing!but looks like you guys had a fun valentines day! Just stopping by from "Boost Your Blog". Love the family pic in your header-- so cute! I hope things work out for your son, it sounds like you have a great plan. I love the castle and the stained glass windows. I bet that was so fun to make. all moms who home school are my heroes, I could never do it, I applaud you my friend. "Sometimes you have to fail to gain." --I love that quote. Sometimes that's what's best, but it's oh, so hard to watch unfold. Keep on truckin' on! Dropping by from the BYB challenge. I know I would not have the patience to home school no matter how good I think it is for the kids. My hat goes off to you. I love the fun and the reality of your week. I finally found a good fit for my oldest son this year (16) and am trying to figure out what work for my younger son (12). I'm stopping by from the 100 Days Challenge. Blessings to you on your homeschool journey. I'm a teacher and the number one thing I usually struggle with is motivation. I hope your son will soon feel motivated to fulfill his potential. I remember making a castle when I was younger. I made one with my father - it was an awesome way to learn about castles, medieval life, etc. Best of luck motivating your son... I am sure that is difficult! My children are all still little -but, I know as they get older -it gets more difficult. I was a very unmotivated teenager, and so were many people I knew back then, but we all made it out okay! Most of us went on to college or university and are doing well now. It sounds like you are the doing the right thing with your son. I'm a planner also, and it can really affect me when plans get changed. I admire you for having to take a stand with your oldest. It can be difficult for us as parents to allow our children to fail, but it's a far easier lesson for them to fail while we are there to help them get back where they need to be than for them to fail after they've left the safety of our homes. We also use My Father's World (I recognize the castle LOL). Wow, what awesome encouragement! This just made my night!! Thanks to Build Your Blog! Those dinners are absoultely amazing. I bet my kids wished I would do that for them.